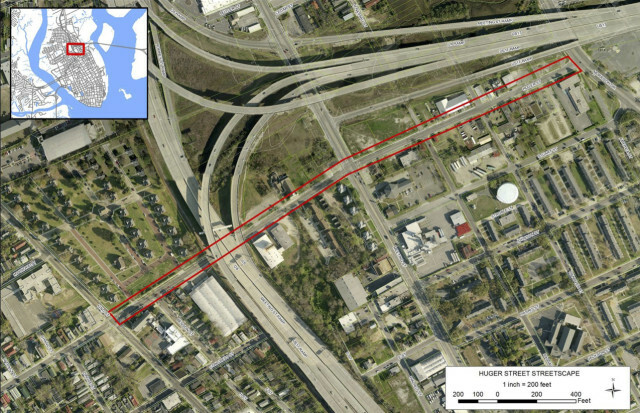 Marking the boundary between historic Charleston and the Upper Peninsula district, Huger Street has served as a secondary roadway connecting Morrison Drive, Meeting Street, King Street, and into the Hampton Park Terrace neighborhood. However, the importance and prominence of Huger Street in Charleston’s infrastructure has never been more important. Traffic on the street began to increase with the opening of the Ravenel Bridge in 2005. With the King Street business district continuing to grow into the North Central borough, the revitalization of the East Central borough east of Meeting Street, and the Upper Peninsula continuing to surge with interest, there needs to be a robust avenue to connect the main arteries of Meeting Street, the Ravenel Bridge, and Morrison Drive. The plan is for Huger Street to become one of the primary thoroughfares of the Upper Peninsula Initiative. 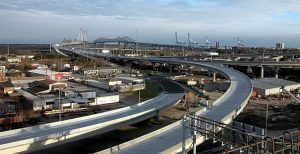 With the completion of the Ravenel Bridge in 2005, the area around its peninsula footprint was left disheveled from four years of construction. 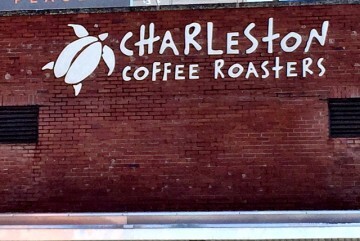 Downtown Charleston has two connections to the eight-lane cable-stayed bridge over the Cooper River: one at East Bay Street, and the other at Meeting Street. 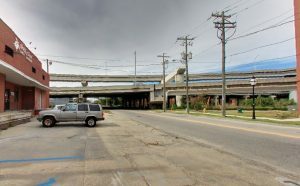 Huger Street was ground zero during the construction of both, with the onramp from Meeting adjacent to and soaring above Huger, a street which terminates at Morrison Drive where the span of the bridge’s main structure soars above it. 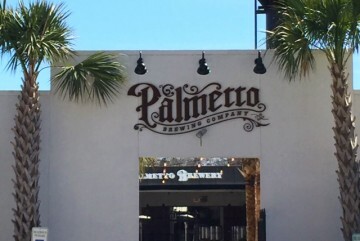 Moreover, what was once a humble side street with light traffic is now positioned as an artery connecting the main thoroughfares of the upper peninsula near the critical junctures of the Ravenel Bridge and I-26. In an effort to mitigate the effects of the bridge construction, the South Carolina Department of Transportation (SCDOT) struck a deal with the City of Charleston to provide $3 million for projects to improve the area around the footprint. 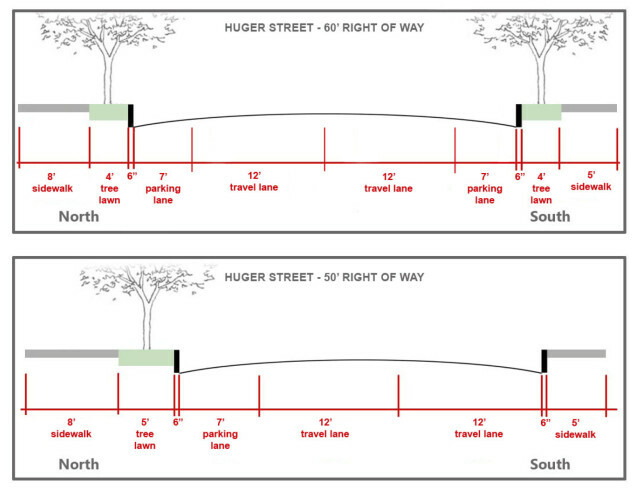 While several projects were proposed, the City of Charleston, with input from the public, created a prioritized list that includes a complete makeover of Huger Street. 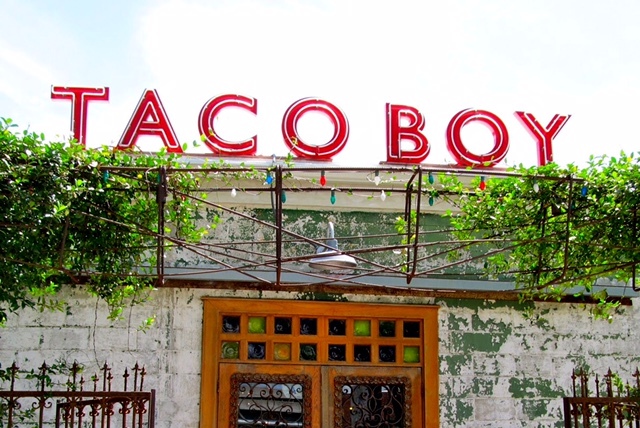 The actual resurfacing of the street is already planned and funded separately, and the city is working with SCDOT to coordinate the resurfacing with the streetscaping project.